As one manufacturer graciously put it, tenders are a “mature market” now. That is to say, there are more companies than ever producing the units — and the competition for retailers’ dollars is intense. Why more tender suppliers? In part, firms that have done business regionally in the past have been expanding their territories. For instance, Nebraska-based Brehmer Manufacturing now has dealers and techs in Colorado, Kansas, Missouri, Illinois, Indiana, Minnesota, Nebraska, and Iowa, says Derek Wegner, Operational Research Analyst. The firm plans to expand again, responding to requests from equipment dealers that want to represent its products. This challenge also comes at a time when the sluggish ag economy means both growers and dealers are eyeing equipment investments carefully. 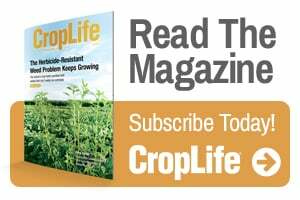 But manufacturers CropLife® magazine talked with rated their sales from decent to record-setting. Not only is there a whole lot of fertilizer to get to fields tapped by two years of record harvests, units purchased years ago are wearing out. Shan Kruse, General Manager and Director of Product Development at Peterson Motors, says he’s getting indications that demand for Quickveyor units this spring is going to be strong as stabilizing — and recently, rising — commodity prices have combined with record-breaking harvests. Then too, dry fertilizer prices have been favorable (particularly compared to liquid fertilizer and liquid equipment) which bodes well for dry fertilizer tender sales, says Tim Tenhet, National Sales and Marketing Manager, KBH Corp. “We manufacture both, so we see both ends of it,” he says. Quickveyor sales have increased as well, because individual farmers, co-ops and other companies are replacing older equipment and expanding, says Kruse. Demand for bigger tenders continues to be strong. One factor here: “Consolidation of retail blending facilities requires larger tender to serve customers farther away those plants,” says Bob Eakins, Ray-Man. Chandler debuted its new large capacity (575-cubic-foot) truck-mounted tender, called the SDT-MH 18, this summer. Sosebee says customers don’t necessarily want to carry more weight — but more capacity. They need more room to haul lighter products like urea. “That’s where this tender comes in,” he explains. In 2016 Hays LTI also introduced its new three compartment 920-cubic-foot tender, as well as pull-type tenders in three different size — 180-cubic-foot, 280-cubic-foot, and 350-cubic-foot. These new tenders offer the same ease of operation as the company’s two compartment, 880-cubic-foot tender, including an open design for cleaning and maintenance, a heavy-duty frame, stainless components, hydraulic main, and clean-out doors. One challenge retailers and tender manufacturers face is working within states’ regulations on road weights of rigs. Brehmer’s Wegner says bridge laws, in particular, can impact buying decisions. “We work with our customers to design a unit that fits their needs and complies with their state regulations,” he says. Operator safety is getting more attention than ever, and manufacturers are responding with a host of safety features. For instance, Chandler’s new unit cleans out exceptionally well “so it basically keeps feet on the ground,” says Sosebee. The key here is a greater degree of slope on hopper sides. Inspection ports, which allow a wider view inside the hopper, are standard on all Doyle tenders. 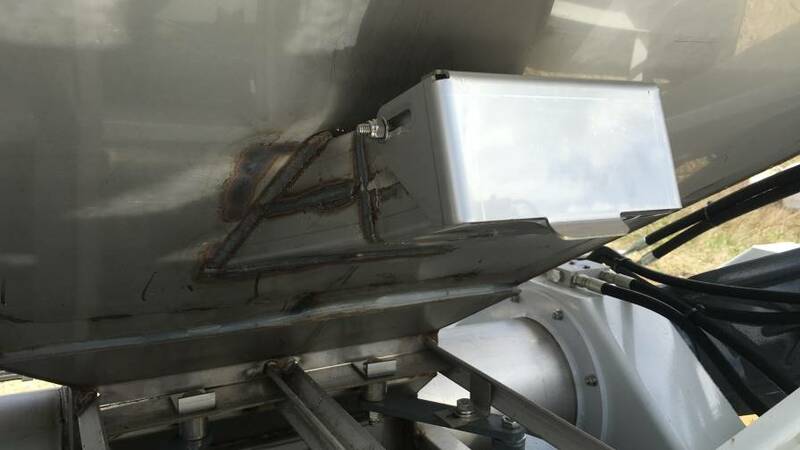 Doyle has added port inspection holes on the tenders, so operators can see product levels easily. The company has also developed a “safety stick,” much like today’s selfie sticks, for operators. Spokesperson David Juette explains the stick features a camera system that allows drivers to stand on the ground while the device extends out so they can look inside the tender. Remote-controlled tenders can also aid safety — and efficiency. KBH now has wireless remote units operating from Oregon to North Carolina. And while the technology is not for everyone because of its pricetag, “any time an operator can run his applicator and his tender by himself without leaving the safety and convenience of the applicator platform, there is something to be said for that,” says Tenhet. Last year saw the introduction of a fully remote-controlled Quickveyor. This option allows a customer to operate the unit by himself from the top of an air-seeder, controlling all functions, including pony motor start, conveyor on, compartment select, and conveyor tube positioning. Aside from specific components and features, tender companies were earnest about selling points such as quality and customer service. Jon Simonsen, President of Si­monsen Industries, says the most challenging part of his firm’s year has been changes in distribution. “We have seen several mergers and acquisitions in this area which has both created issues as well as presented good opportunities to shape our distribution channels to better fit today’s environment,” he says. Quickveyor has made several significant improvements to further increase the corrosion resistance of its unit’s entire system. Due to customer requests, the company now also provides fenders with stainless steel brackets and a new flexible 10-inch spout that easily increases the range of the rear conveyor delivery. Brehmer’s Wegner says the firm’s design team continues to tweak features in its overhead discharge units and has added grease banks — Brehmer makes its own crimp fittings — so drivers can grease everything from one spot, using powerpack grease guns. “We have also innovated on our bearings, putting stainless steel wipers behind them so they don’t get clogged with fertilizer. Plus, we notch our bearings so they clean out on the bottom side,” says Skip Landholm, sales manager. Hays LTI will be moving into its new, state-of-the-art manufacturing facility in 2017, which will give the company room and production capabilities to make new types of equipment. The company’s design team got to work, and in October, HitchDoc released a whole new line of conveyor-style seed tenders. Mohns describes a challenge both his firm and other manufacturers face: With prices of raw materials and inputs on the rise, they want to protect the sale price — so they need to find ways to streamline manufacturing while maintaining a high level of quality.